It is where all the great beauty companies gather to show off their wares. The International Beauty Show came to the Javits Center in New York this month, a collection of hair, skin and a few makeup companies in a bazaar-like setting, some putting on loud, raucous shows, cutting hair, using the latest in scissors, curling irons, blow dryers, driving the crowds into a constant, evangelical frenzy. 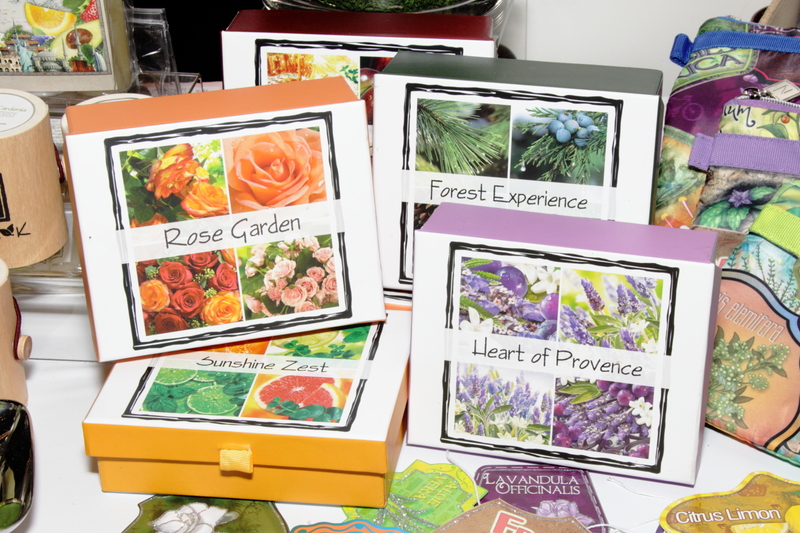 Others took a more subtle approach, drawing clients and potential clients, mostly technicians or salon or spa owners, in with in-booth demonstrations, talks about their latest innovations and the odd free sample. Because we at Red Stiletto Media are suckers for a lovely-smelling skin or bath products, and because I am on a personal journey to find the miracle product that will finally give me that gorgeous hair I know I was born to achieve, we’re going to feature just a couple of the brands that were new, or new to us, featured at IBS New York. 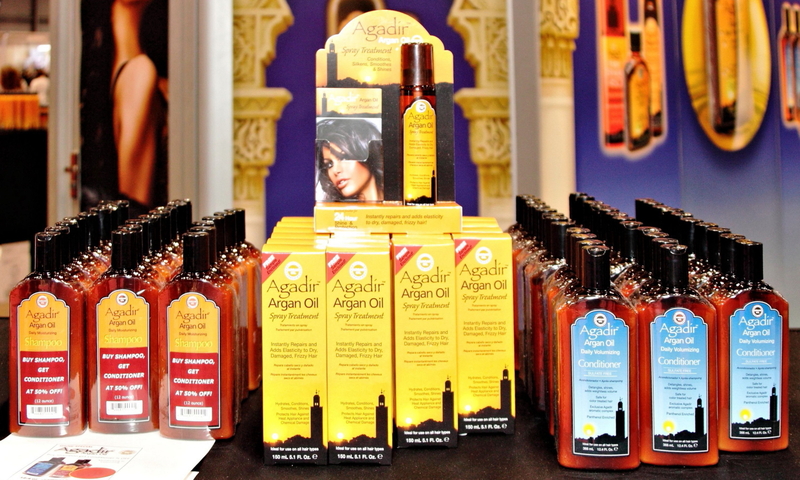 It’s all the rage for sleek, shiny, healthy hair: Argan Oil. Pressed from the Argan nut, a kind of cross between a walnut and an almond, grown only in Morocco, this elixir most closely imitates the actual oils our hair produces. It’s high in antioxidants and Omega-9 and Omega-7 fatty acids, as good for your hair as it is for your health. 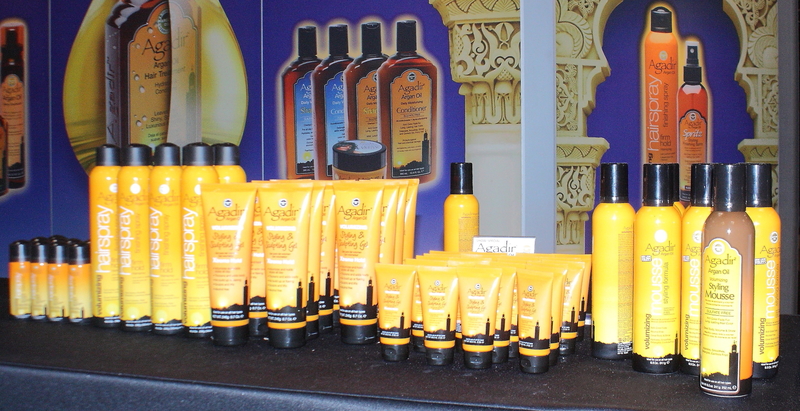 You’ve seen hair products that feature Argan Oil in both high and low end products. They also have a special seal from the Moroccan government, a gold stamp on every bottle, guaranteeing this is genuine, Moroccan Argan Oil. And it’s not just quality, it’s quantity, and, Jack says, Agadir uses a higher content of actual oil than many other products. Agadir is a family business in the truest sense of the word. Many of the people behind the counter are members, and the others just seem like family. So much attention went into each detail, like the safe, eco-friendly packaging that doesn’t break and prevents cross-contamination, and the bright, exotic labeling. Die hard news junkies will remember the name Khashoggi from the days of the Reagan administration. Adnan Khashoggi was a world famous, at times infamous, businessman. His daughter, Nabila, is about to become world famous for a far different reason: face, bath and body creams. The beautiful, U.K.-educated Nabila’s empire started with bubble bath. “My father had it made, just for the family,” she told me. “We loved it, and, as the years went by, everyone was asking for more. When we saw how much went into having it made, we said, ‘we’re not giving it away anymore.’” And, so, Nabila K was born. It is a massive line, with a collection of, of course, bubble baths and bath salts, matched with body lotions, lip care, scrubs, gels, soaps, powders, diffusers and candles, inspired, in part, by Nabila’s world travels. There’s even a kids’ line, developed with input from her five year old son. 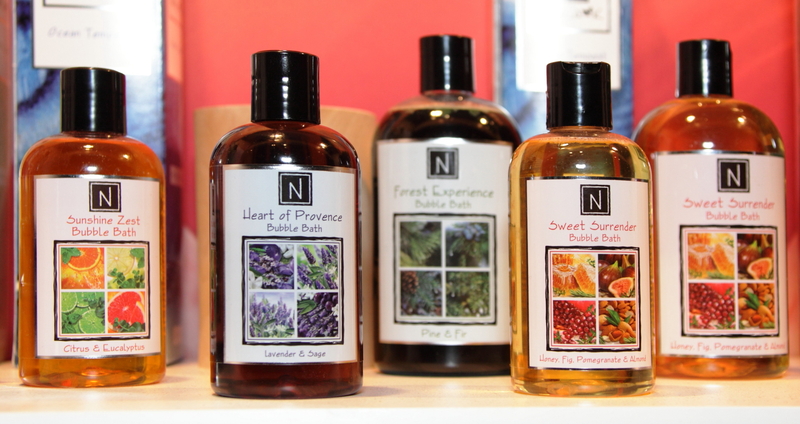 Everything in her line smells clean, delicious and natural, like Ginger Green Tea, Organic Honey Shea and, even, Wine. 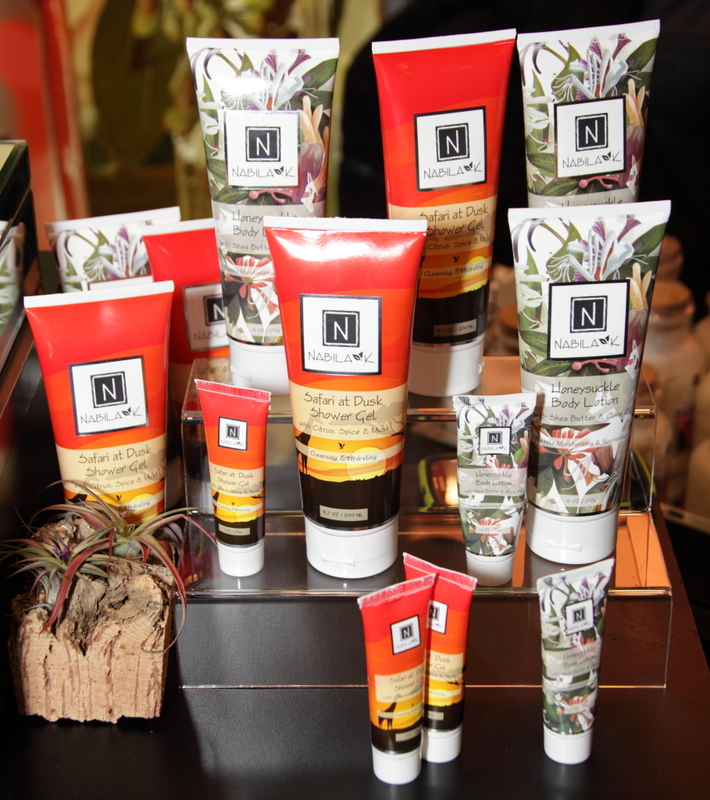 A new bath line is called “Safari at Dusk”, and smells of citrus, spice and musk. While she’s launching her existing line, Nabila is busy building new ones. Coming soon: a new line of hair products and a makeup line. Nabila K is sold in some boutique shops and spas, but you can have a look at the whole line and learn more about Nabila’s dedication to natural ingredients on the website, http://www.nabilak.com. This entry was posted in Lifestyle and tagged Agadir, Anton Brookes, Debora Fougere, IBS New York, International Beauty Show, Nabila K, Red Stiletto Media. Bookmark the permalink.